Location: About 5.5 miles south of Phelps (Hwy. 17 to Deerskin Rd. to Indian Rd. (FR2178), then about 0.7 miles to the parking area). 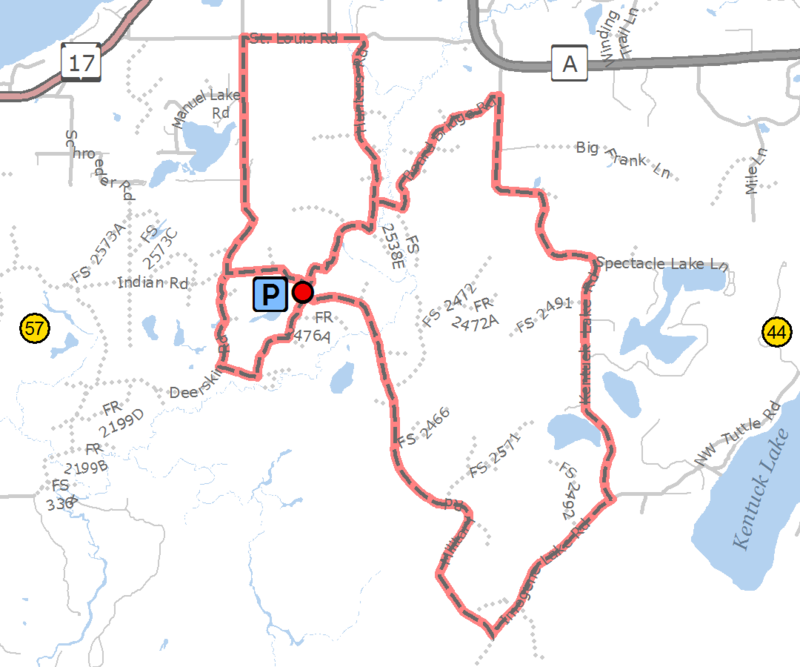 These three trail loops run through the Nicolet National Forest. The trail surface varies and includes paved and gravel sections as well as hard-packed sandy loam forest lanes. Gently rolling to hilly in some areas.